Learn how to maintain your white teeth. 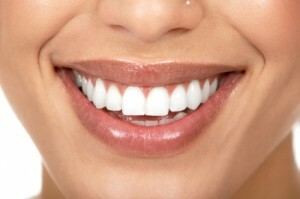 Practically everyone wants to have perfect, white teeth that they can show off whenever they want. Although, people might not brush their teeth properly or have the best diet to achieve a bright, white smile. Having white teeth is something that you constantly have to work at so that you will have it for the majority of your life. Luckily, there a few simple ways to have the strong and healthy white teeth. One of the most effective ways to sustain white teeth is to change out your toothbrush about every three months. If you use an electric toothbrush, then you should replace the brush head. After three months, the bristle of your brush start wear down and become ineffective at cleaning your mouth. Once you see the bristles bend and look worn, it is time for a new brush. If you are looking for a home remedy to whiten your teeth, then look no further than apple cider vinegar. You should gargle with a small amount of the product in the morning right before you brush your teeth. Apple cider vinegar helps remove stains that whiten your teeth and dim your smile. The liquid also helps kill harmful bacteria that can lead to cavities and gum disease. So, whitening your teeth is as easy as looking in your food pantry. The reason you may not have the whitest teeth might not be about your teeth at all. When it comes to brushing, many people forget their tongue which accumulates bacteria that can lead to bad breath and teeth discoloration. Make sure to brush your tongue so that you can reach the back of it and rinse between every stroke. This is the best way to remove bacteria and to prevent putting it back on your tongue. This entry was posted on Friday, February 2nd, 2018	at 9:45 pm	and is filed under Tooth Whitening in Catonsville	. You can follow any responses to this entry through the RSS 2.0	feed. Both comments and pings are currently closed.